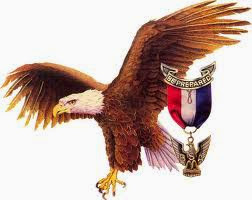 (3) a detailed exposition of a substantial subject at a level more advanced than that of a textbook. 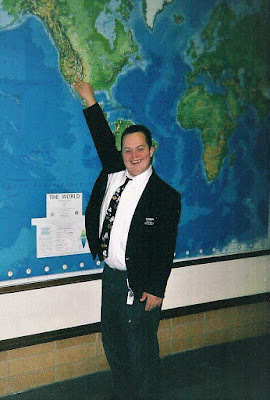 While serving as a Welfare Services Missionary at the LDS Bishop's Storehouse on Welfare Square in Salt Lake City, Utah, Joe's mission leader challenged him to keep a journal of his missionary experiences. This challenge became the spark that would ignite a fire of conviction in Joe to want to write a journal - or somehow keep a record of missionary events that greatly influenced his growing testimony. 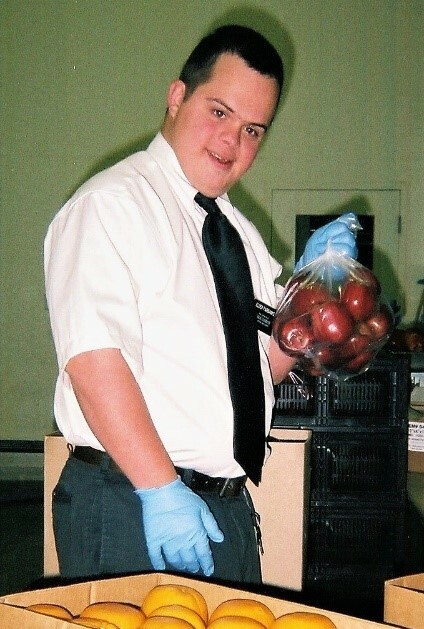 Joe's responsibilities as a Welfare Services Missionary included sorting and marking produce, assisting patrons with grocery selection, providing mentored friendship and encouragement to fellow missionary companions and attending daily leadership training classes. 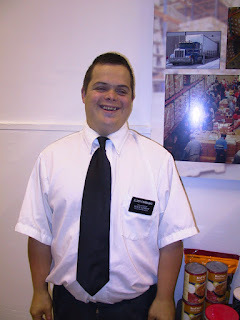 The leadership classes included regular study of the stories and teachings found in the Bible, the Book of Mormon, the Doctrine and Covenants and the Pearl of Great Price. Being a non-reader, Joe listened carefully to the scripture lessons, then went home and devised a way he could record his thoughts in a journal. He took several different sizes of dinner plates out of the kitchen cupboard and by turning them upside down he found he could duplicate the circles he saw in the Egyptian papyrus facsimile 2 in the Pearl of Great Price. 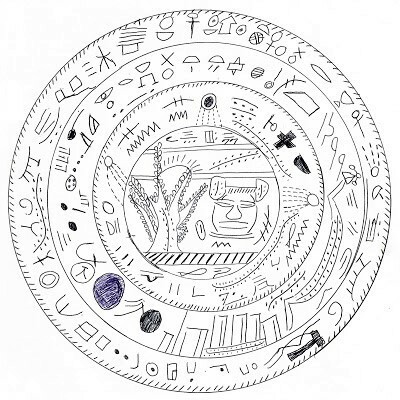 Many evenings Joe would write in his journal by placing one or more glyph markings somewhere between the circles to depict something he had learned or thought about during that day. Week by week, month by month, Joe used his skill as an artist as well as his knowledge of glyph and ancient language markings to carefully place his thoughts within the circled lines. 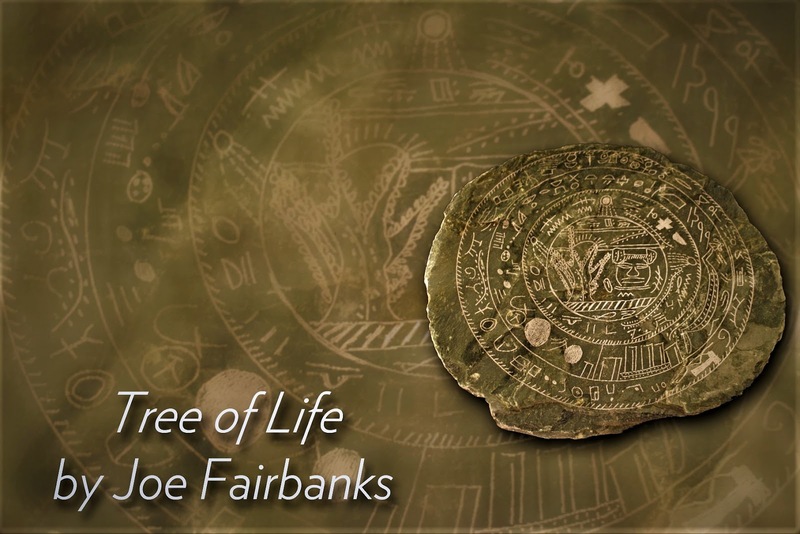 Joe’s TREE OF LIFE / Monograph in Ink depicts true stories about ancient prophets, a family’s long journey and God’s love for his children on earth. Soon, unfolding from his hands were small hints of scripture stories that excited Joe's imagination such as brothers hunting for food, building a ship, and even the breaking of a valuable hunting bow. A particularly meaningful story of a father inviting his children to find and follow the iron rod or, the Word of God, that leads to the Tree of Life is depicted at the center-most place in this work. Next to Joe's beautiful Tree of Life is the outline of a man's face depicting the ancient prophet Samuel, who withstands the arrows of those who reject the Word of God. 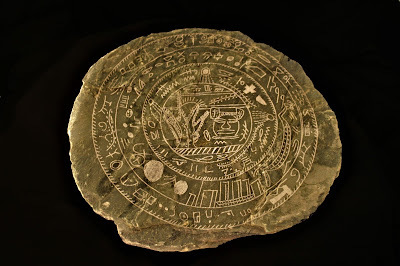 Careful viewing of the stone reveals representations of soft rain, stormy rain, dark clouds, love of God surrounding the earth, plates of brass, the eye of God, a mist of darkness, the three members of the Godhead, a great and spacious building, a river of dirty water and nuts, grains and seeds and much more. 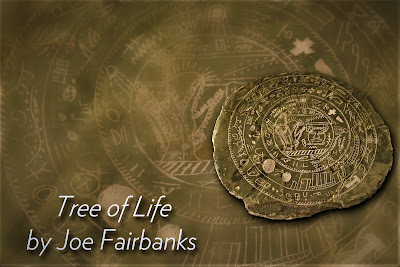 Joe's work is rich in religious and personal history. Reminiscent of Mayan Sun Stones of South America, the Rosetta Stone of Egypt and the Stele Columns of the Middle East – Joe’s monograph is a unique example of attention to detail, both written and spiritual. 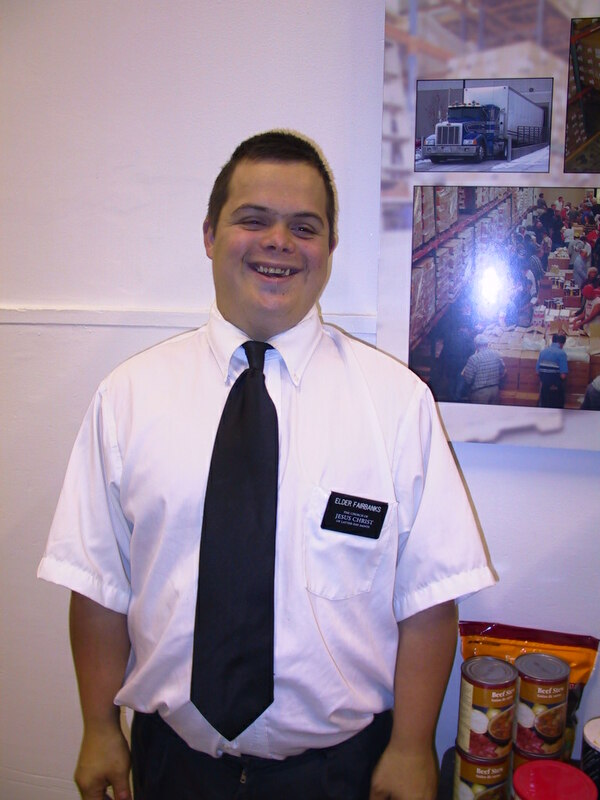 It is a missionary journal recorded by a young man whose life was and continues to be, greatly influenced by serving the Lord and studying the Word of God.